A South Sudanese family waits inside a train in Khartoum to be transported to Wau in South Sudan, March 1, 2012. Last week, 1,700 South Sudanese who lived at Kosti transit camp, south of Khartoum, returned home from the north. Among the returnees who made the trip to the south last week by bus was 45-year-old Amelia Biba. Originally from Wau in Western Bahr el Ghazal state, Biba moved to Khartoum during the decades-long Sudanese civil war. But when southern fighters signed a peace agreement with the north in 2005, she decided she wanted to move back home. Friends told her to go to the Kosti railway station, around 300 kilometers south of Khartoum, and wait for officials to organize transportation back to Wau. That was three years ago. She finally left Kosti at the beginning of last week when 47 buses, provided by the United Nations and the governments of South Sudan and Sudan, transported Biba and some 1,700 other South Sudanese from Kosti station back to their homes in the south. 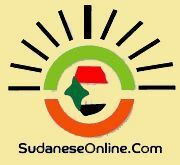 "We were very happy when we crossed the border," Biba said, thanking the government of Sudan "for the time we stayed with them" and the two governments for organizing their trip back home. spent the weekend at a transit site in Unity State before setting off for their final destinations in South Sudan on Monday. International Organization for Migration (IOM) Information Officer Matthew Graydon said the mass return took time to organize because it included travel through Sudan’s volatile South Kordofan State. and into South Sudan,” he said. Samuel Razik Daniel spent more than three years at the Kosti transit station. People preferred to stay at Kosti, rather than risking the dangers of traveling through South Kordofan on their own to get home, he said. In fact, said Daniel, some South Sudanese were so frightened at the idea of traveling through the restive state that they refused to join the convoy of buses that headed back to South Sudan last week. But now that Biba, Daniel and thousands of others have returned safely to South Sudan, those who stayed behind are likely to make the trip, Daniel said. "When they hear we entered South Sudan and were warmly welcomed by our citizens, police and the army, they will begin collecting their property and coming to South Sudan,” Daniel said. South Sudan and provide them with enough food to last three months, Graydon said. The United Nations and governments of South Sudan and Sudan worked together to organize the returns from Kosti to South Sudan, and IOM officials are making final preparations to close the Kosti camp, which they expect to be shut down by the end of the year.